It’s been a while since I’ve done an update so I’ll try not to make it too long. The reason I’ve been so quiet on the blog and social media is that I’m under the pump to get a book finished and edited by November. It’s a part of the Secret Project series that I can’t talk about just yet (announcement will be soon I swear), so I’m up to my eye balls in research and drafts and generally trying to pull it together. 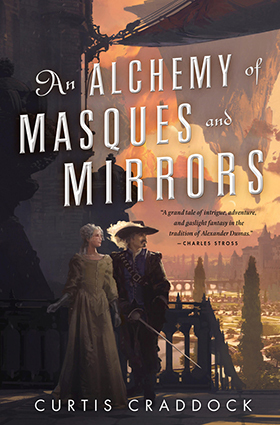 For those who are like WTF I thought you working on a Aramis and Soren/ Firebird Fairytales World spin off book… Yes, I am. I’m about 40k words into it but its had to take a back seat while I finalise the other book. I’ve been able to write two books at once before, but the new series is different. It requires more space in my brain and more research to get right so I’ve put other books and uni on hiatus for a few months. It’ll be worth it I swear! If you follow my Facebook you would have seen that I’m currently at the Cover Design phase of KINGDOM, the third Blood Lake Chronicles book, and if all goes to plan it should be out in October/November. I’ll make a more official announcement once I have a pre-order page up and passed the final edit/stressing stage. I’m really happy and excited how its come together! 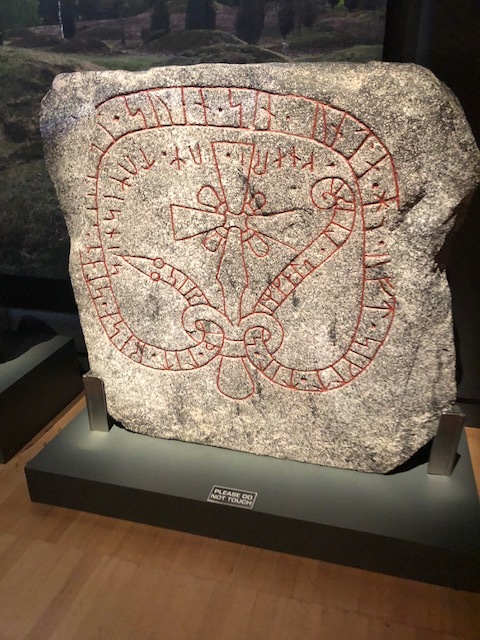 I’ve managed to be dragged out of my writer cave and have been to two great exhibits in passed month; Wonderland at the ACMI and Vikings: Beyond the Legend. 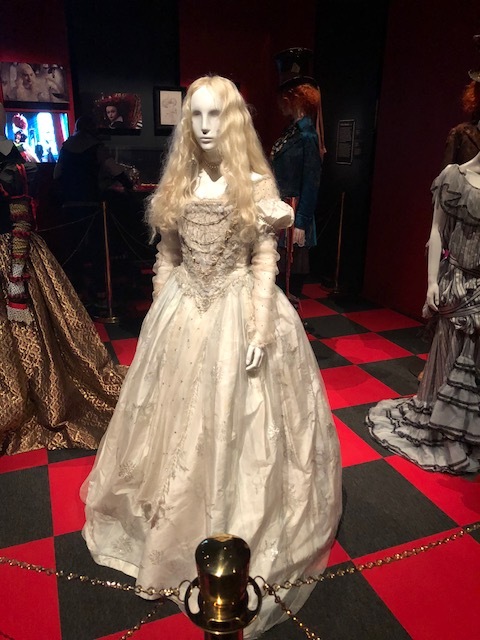 Both were fantastic and seeing how I’m obsessed with Alice (omg the costumes from Burton’s movies were there and I almost died) and Vikings I was in heaven. 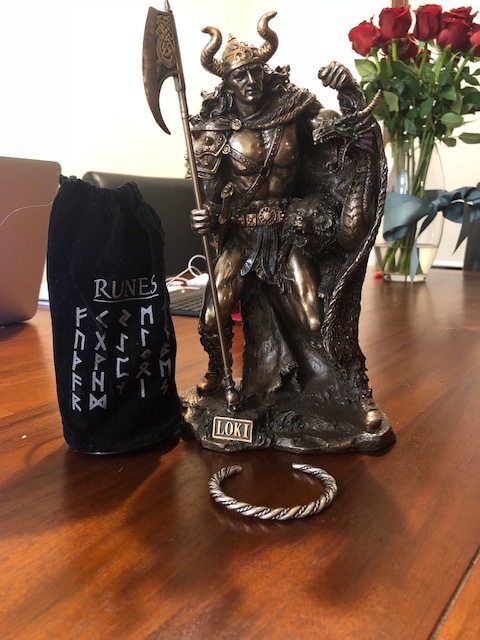 Also, check my freaking awesome Loki statue I got from the Vikings Exhibit as well as Rune Swag! I highly recommend both exhibits if you happen to be in the Melbourne area. Apart from working on the book, I’ve been taking the time (ie forcing myself) to self care and refill the creative well. A looming deadline can really throw out my creative process, work my anxiety into a frenzy and generally stir me up to a point where I can’t focus on actual writing. This particular series is research heavy so I’ve spent some delightful hours on JSTOR, reading articles, following leads and making connections I never would have thought of without taking the time to immerse and enjoy myself. 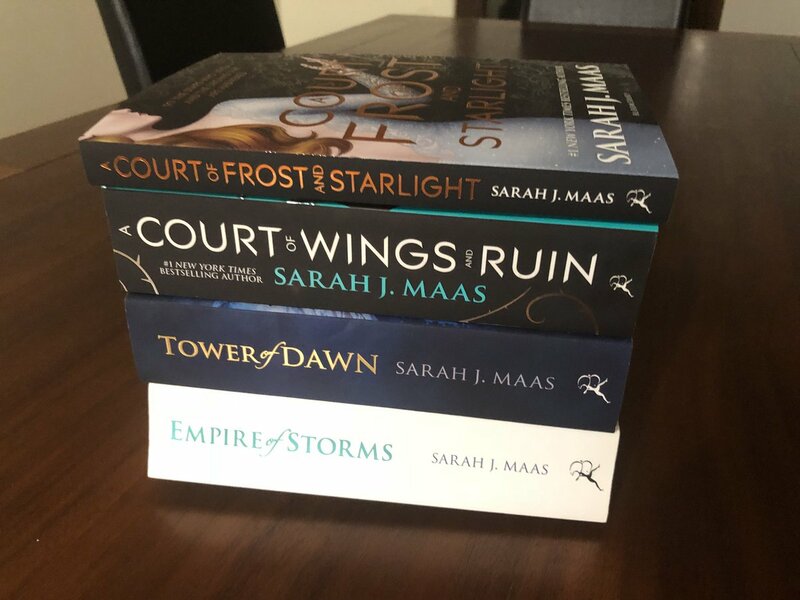 In the reading department I finally finished my Sarah J Maas pile! I was actually really surprised how much I enjoyed Tower of Dawn. The world building was great and I really enjoyed the fantasy twist on the Huns that Maas created. Also yes, I AM in love Dothraki- Bae of the Skys a.k.a. Sartaq The Winged Prince. Hell, I even stopped hating Chaol in this one which surprised me. Catwoman has just come out and I’m already about half way through and enjoying Maas’s take on Gotham. 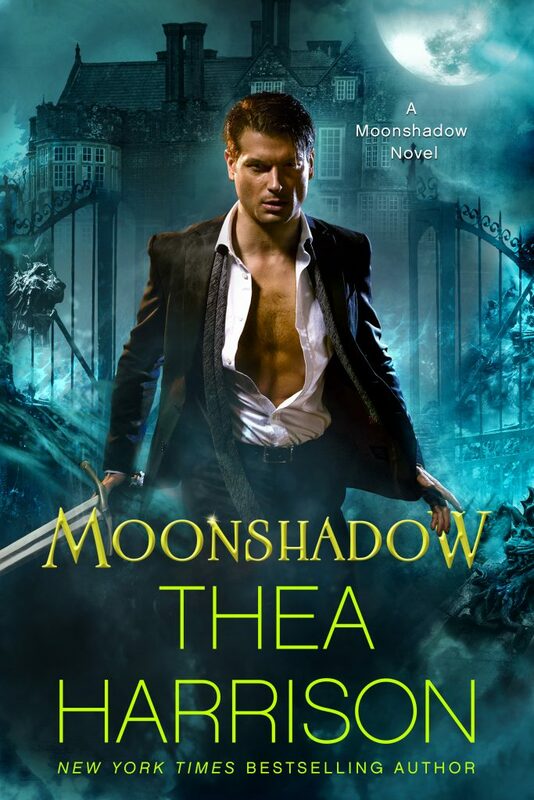 The other series I’m obsessed with at the moment is Thea Harrison’s Moonshadow series. If you like my Blood Lake Chronicles, and you are after more Celtic paranormal with an Arthurian twist I really recommend you check them out. To be honest you could go for any series of Thea Harrison and it would be worth it. I’m working my way through her whole catelogue at the moment and have loved everything (though Moonshadow and Dragon Bound have been my favourite). OH. 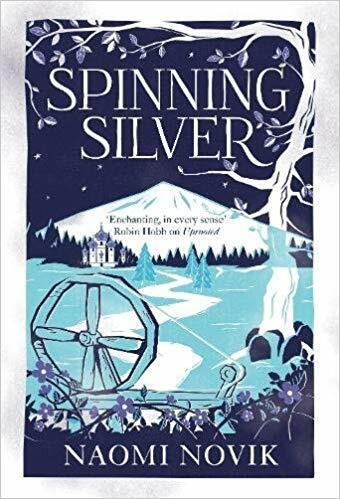 And I feel like I should mention here that I demolished ‘Spinning Silver’ by Naomi Novik. I have FEELINGS about this book. Like any book of hers, she just slays me. Her new takes on Russian mythology with this book and ‘Uprooted’ continues to leave me in awe and with serious impostor syndrome. I am shamelessly in love with the Staryk King, but seriously, a Winter Elf King who can do magic…its like it was made just for me to obsess over. I could write essays about this book but I wont. Please read it, and ‘Uprooted’ if you haven’t already. Okay guys that’s about all I’ve got for you. I’m all head in the books at the moment and very unexciting. Fingers crossed I can break some awesome writing news to you all soon and then you get full enthusisatic Amy about the new series I’m so obsessed over that I’m literally incapable of thinking about anything else at the moment. 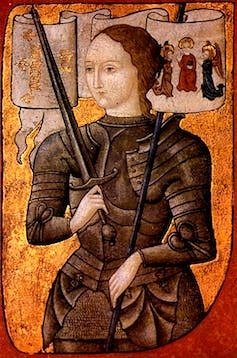 A miniature of Joan of Arc, circa 1450 and 1500. 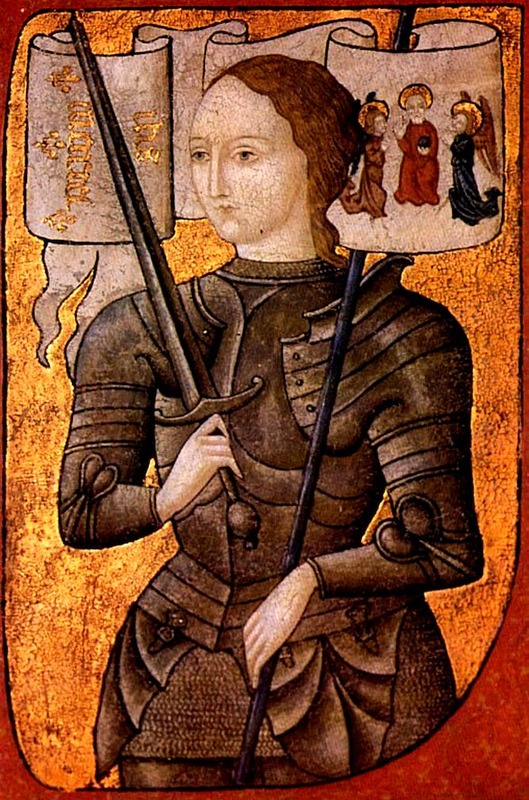 Long before Che, Joan of Arc committed to changing the world from the bottom up. If Jeanne the Maid is a heroine, then, she is the heroine of the rare, luminous event of revolutionary rupture. This take is one which I’ve placed at the heart of my novel, The Last Days of Jeanne d’Arc. The novel is not only an articulation of her radical character as I understand her; it is also a story of forbidden amorous love and intense, heretical spirituality. 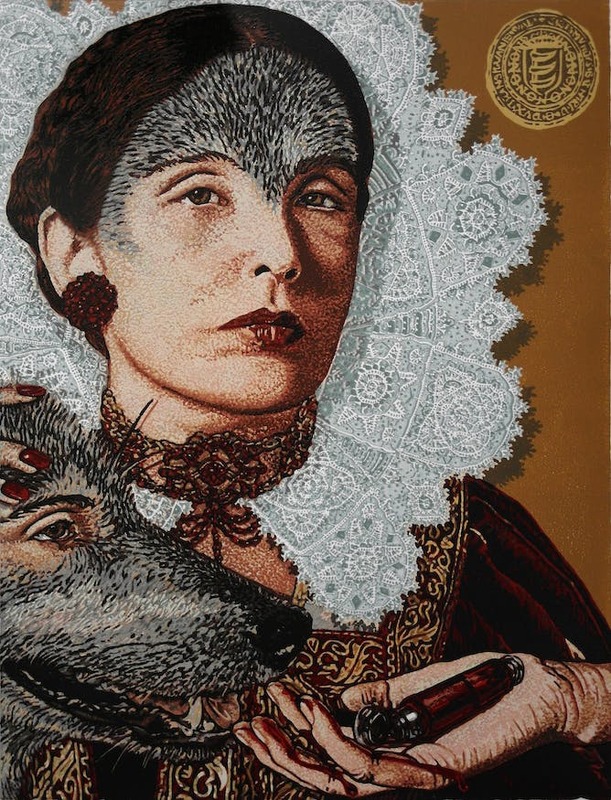 But central to the novel’s fictionalised account of a historical figure’s life – and my depiction of her sexuality and unique psychology – is my view of her as a woman who was transformed by her drive to transform the world in which she lived. Ali Alizadeh will speak at the Melbourne Writer’s Festival on the topic of Revolutionary Women on Fri 1 Sep at 11.30am. A great blog today via Curtis Craddock for Tor/Forge Blog! It’s the shortest story in the English language. It’s really the root of all stories and, by extension, the act of being human. Biologists, archaeologists, and anthropologists like to argue about what makes humans people. How did we progress from planting crops to build cities, go to the moon, and build smartphones? I put my money on storytelling. A lot of biology underpins storytelling. There’s the evolution of the tongue and the palate. The adaptation of the brain and the developing capacity for language. But humans aren’t the only creatures to communicate with sound and symbol. Bees apparently do a bit of geometry in their hive dances, and whales have dialects of calls. Yet even these sophisticated methods of communication lack the essential element of a constructed reality, the understanding that something can be true without being real. Ask anyone who has ever read the Lord of the Rings who Frodo is, and they will be able to describe him and his adventures in some detail, and will have opinions on whether his actions were good or bad, reasonable or not. At the same time the reader aware that the story is constructed purely from imagination and not a factual accounting of anything in the ordinary world. Even animals that are known to lie such as chimps and gorillas don’t seem to construct a persistent fictional narrative. Thus while humans may not be the only ones with at least a rudiment of language, we do seem to be the only ones to tell stories, to communicate about things that never happened and never will, to dislocate ourselves in space and time, or to picture the world from behind another person’s eyes. To be sure, the habit of spinning yarns probably developed over an extended period of time. 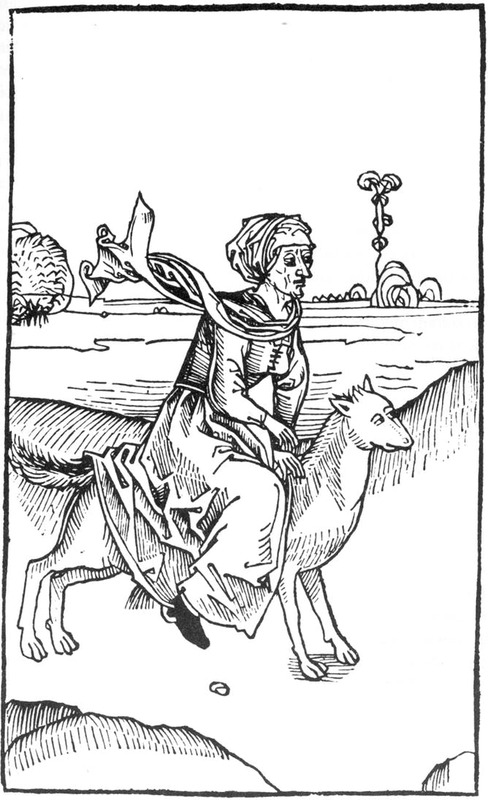 It required the concurrent development of unique cognitive and physiological capacities, so there was no first storyteller in the same way there was no first dog. Humans just messed around with wolves for a few dozen generations, culling the undesirable and breeding the useful, until what had been recognizably a wolf was now recognizably not a wolf without any pup in the progression being a different species than its parents. At some point, or rather span of points, the human mind expanded into something much larger and deeper, like a fresh water river emptying into the great saline sea. The abstract space of imagination gathered unto itself the greatest share of mental resources, burning precious, hard won calories, it provided us with an inner voice, a personal narrative, explaining the world and the mind’s place in it. Our ability to invent the world rises above the expectations of experience. Scientists from disciplines as far apart as anthropology and neuroanatomy have speculated that this internal voice may have been perceived as an external intrusion, the voices of spirits or gods. Regardless of how the source was perceived, humans now had storytellers inside their skulls. Experiences, emotions, and reason were translated into words, and every person became the narrator, however unreliable, of his or her own life. So why is it so important to have a narrator? What’s the big deal with narration? When I come home at night, after a hard day’s slog, I walk into my house, sit down on my couch, and get mugged by my dogs: two small, furry, lap-seeking missiles. If you visualized that, it has become part of your story. But the analysis goes deeper than that. How do I know this is my house? Yes, there’s a record of the purchase in my filing cabinet, but I haven’t looked at it in years. Nor am I merely expressing instinctive territoriality. I didn’t go around with my trousers down marking out a boundary. I know it’s my house because of the story I tell myself about it. My friends and family know it’s my house because of the story I told them. By and large, nobody questions the story of my house. Nobody demands to see the paperwork proving my ownership. More broadly, other people who don’t even know me understand the backstory of our civilization, and are aware of the common trope of home ownership. In fact, if you back up far enough, it becomes clear that society itself is a narrative, something we collectively imagined into existence. Laws, customs, mores, and borders are things only humans perceive and only by virtue of their narrative we’ve built up inside our skulls. There is nothing outside of us to supply those concepts, no force compelling us to this end. We impose on ourselves by means of a narrative what it means to be good or bad, morally right or wrong, ethically acceptable or not. We humans are the stories we tell ourselves. More to the point, we wouldn’t be fully human without them. Ishtar (on right) comes to Sargon, who would later become one of the great kings of Mesopotamia. As singer Pat Benatar once noted, love is a battlefield. Such use of military words to express intimate, affectionate emotions is likely related to love’s capacity to bruise and confuse. Ishtar holding a symbol of leadership. 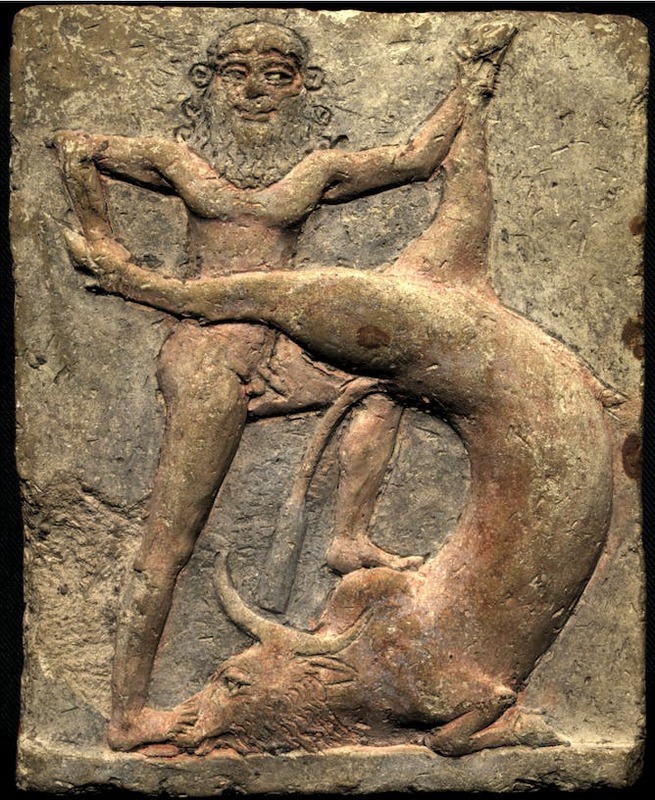 Terracotta relief, early 2nd millennium BC. From Eshnunna. 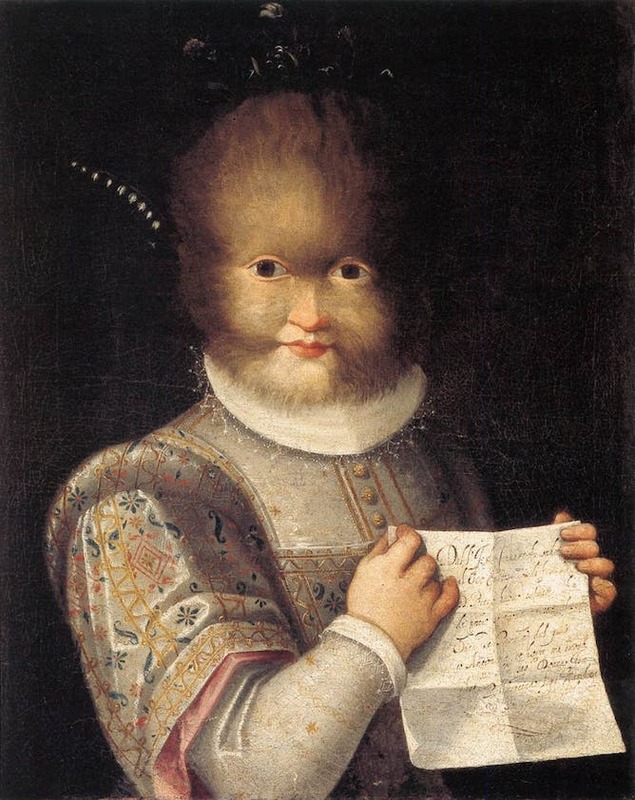 Held in the Louvre. So it was with the world’s first goddess of love and war, Ishtar, and her lover Tammuz. In ancient Mesopotamia – roughly corresponding to modern Iraq, parts of Iran, Syria, Kuwait and Turkey – love was a powerful force, capable of upending earthly order and producing sharp changes in status. 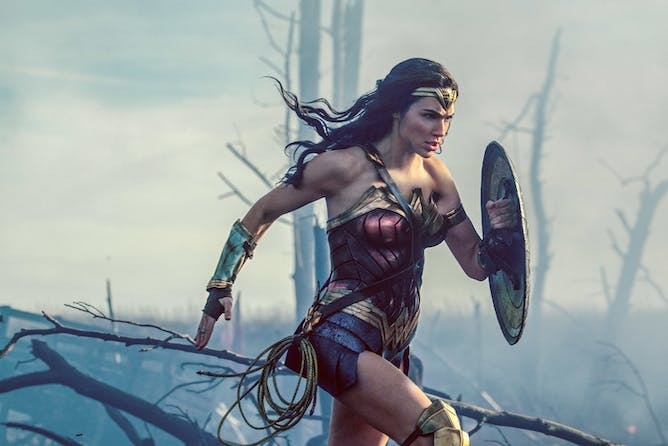 From Aphrodite to Wonder Woman, we continue to be fascinated by powerful female protagonists, an interest that can be traced back to our earliest written records. 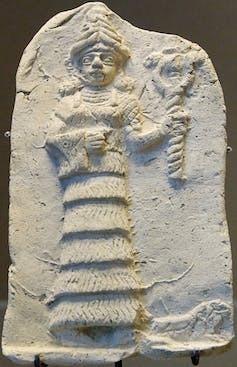 Ishtar (the word comes from the Akkadian language; she was known as Inanna in Sumerian) was the first deity for which we have written evidence. She was closely related to romantic love, but also familial love, the loving bonds between communities, and sexual love. She was also a warrior deity with a potent capacity for vengeance, as her lover would find out. 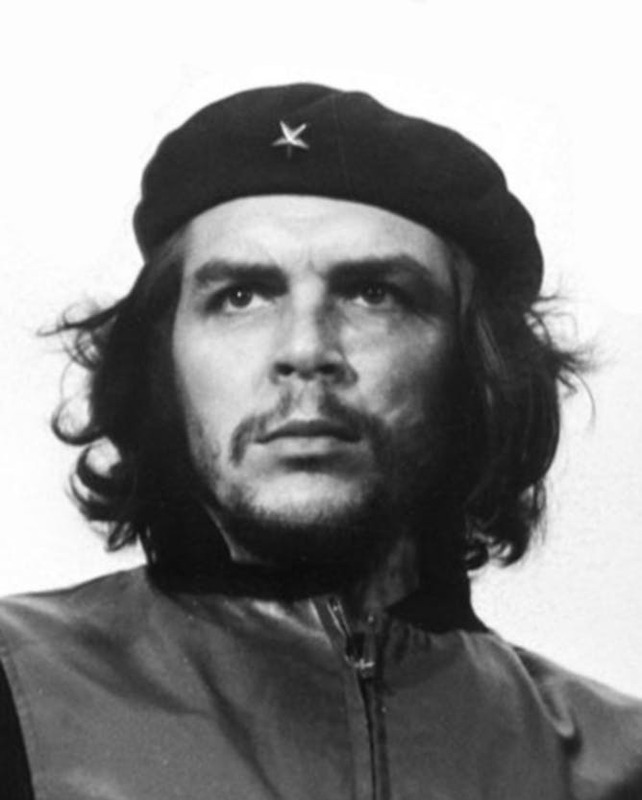 These seemingly opposing personalities have raised scholarly eyebrows both ancient and modern. Ishtar is a love deity who is terrifying on the battlefield. Her beauty is the subject of love poetry, and her rage likened to a destructive storm. But in her capacity to shape destinies and fortunes, they are two sides of the same coin. The earliest poems to Ishtar were written by Enheduanna — the world’s first individually identified author. Enheduanna (circa 2300 BCE) is generally considered to have been an historical figure living in Ur, one of the world’s oldest urban centres. She was a priestess to the moon god and the daughter of Sargon of Akkad (“Sargon the Great”), the first ruler to unite northern and southern Mesopotamia and found the powerful Akkadian empire. 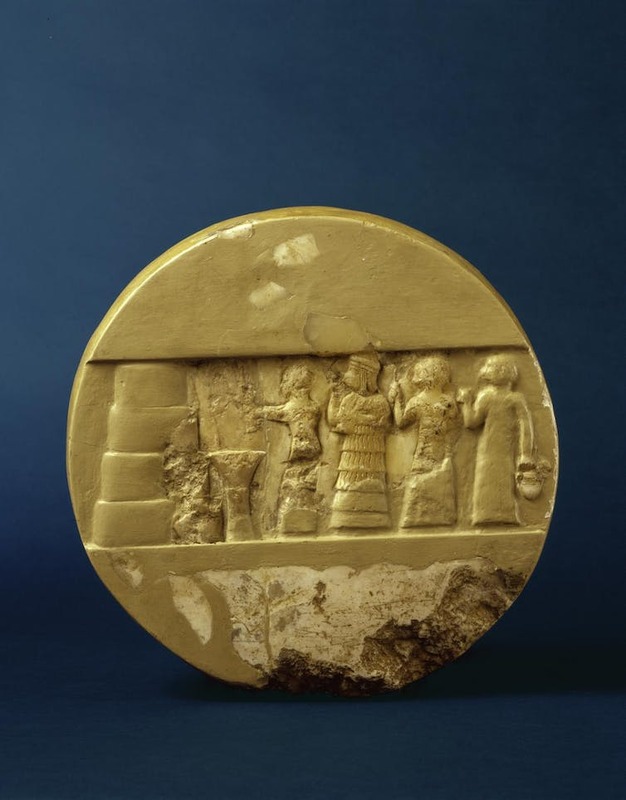 The sources for Enheduanna’s life and career are historical, literary and archaeological: she commissioned an alabaster relief, the Disk of Enheduanna, which is inscribed with her dedication. Object B16665. Courtesy of the Penn Museum. In her poetry, Enheduanna reveals the diversity of Ishtar, including her superlative capacity for armed conflict and her ability to bring about abrupt changes in status and fortune. This ability was well suited to a goddess of love and war — both areas where swift reversals can take place, utterly changing the state of play. On the battlefield, the goddess’s ability to fix fates ensured victory. In love magic, Ishtar’s power could alter romantic fortunes. In ancient love charms, her influence was invoked to win, or indeed, capture, the heart (and other body parts) of a desired lover. 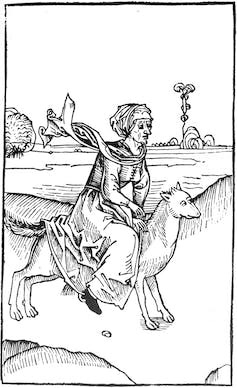 Ishtar is described (by herself in love poems, and by others) as a beautiful, young woman. Her lover, Tammuz, compliments her on the beauty of her eyes, a seemingly timeless form of flattery, with a literary history stretching back to around 2100 BCE. Ishtar and Tammuz are the protagonists of one of the world’s first love stories. In love poetry telling of their courtship, the two have a very affectionate relationship. But like many great love stories, their union ends tragically. 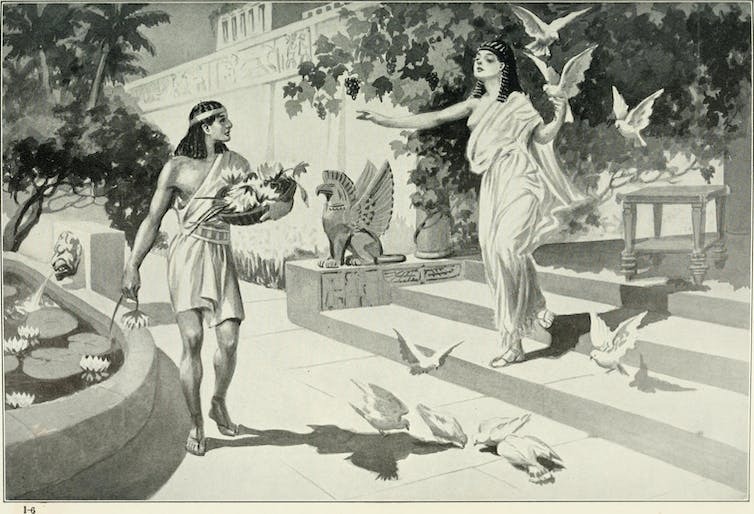 Ishtar’s Midnight Courtship, from Ishtar and Izdubar, the epic of Babylon, 1884.
was only deciphered in the 19th Century. It begins with Ishtar’s decision to visit the realm of her sister, Ereshkigal, Queen of the Underworld. Ostensibly, she is visiting her sister to mourn the death of her brother-in-law, possibly the Bull of Heaven who appears in the Epic of Gilgamesh. But the other gods in the story view the move as an attempt at a hostile takeover. Ishtar was known for being extremely ambitious; in another myth she storms the heavens and stages a divine coup. Any questions over Ishtar’s motives are settled by the description of her preparation for her journey. She carefully applies make-up and jewellery, and wraps herself in beautiful clothing. Ishtar is frequently described applying cosmetics and enhancing her appearance before undertaking battle, or before meeting a lover. Much as a male warrior may put on a breast plate before a fight, Ishtar lines her eyes with mascara. She’s the original power-dresser: her enrichment of her beauty and her choice of clothes accentuate her potency. Next, in a humorous scene brimming with irony, the goddess instructs her faithful handmaiden, Ninshubur, on how to behave if Ishtar becomes trapped in the netherworld. 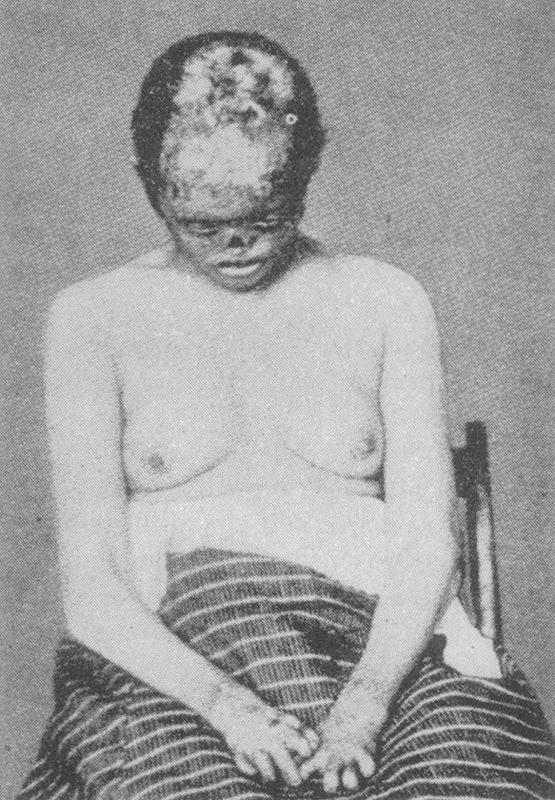 First, Ninshubur must clothe herself in correct mourning attire, such as sackcloth, and create a dishevelled appearance. Then, she must go to the temples of the great gods and ask for help to rescue her mistress. Ishtar’s instructions that her handmaiden dress in appropriately sombre mourning-wear are a stark contrast to her own flashy attire. But when Ereshkigal learns that Ishtar is dressed so well, she realises she has come to conquer the underworld. So she devises a plan to literally strip Ishtar of her power. Once arriving at Ereshkigal’s home, Ishtar descends through the seven gates of the underworld. At each gate she is instructed to remove an item of clothing. When she arrives before her sister, Ishtar is naked, and Ereshkigal kills her at once. No one comes back from the underworld unmarked. Once a space had been created in the underworld, it was thought that it couldn’t be left empty. Ishtar is instructed to ascend with a band of demons to the upper world, and find her own replacement. In the world above, Ishtar sees Tammuz dressed regally and relaxing on a throne, apparently unaffected by her death. Enraged, she instructs the demons to take him away with them. 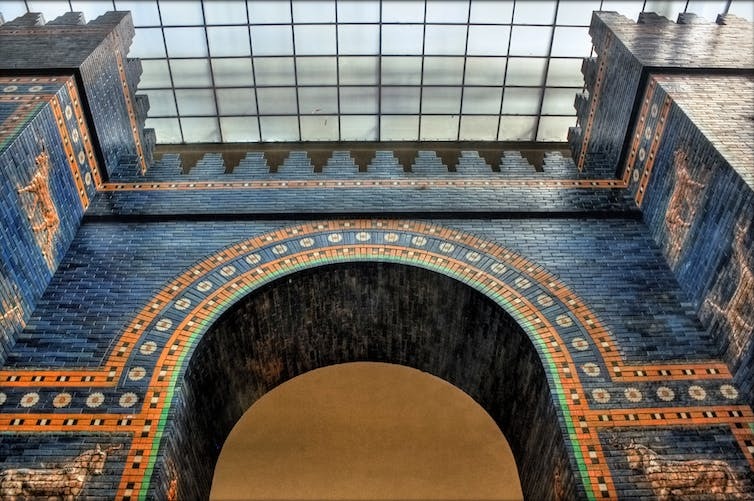 The Ishtar Gate to the city of Babylon, was dedicated to the Mesopotamian goddess. Reconstruction in the Pergamon Museum, Berlin. Ishtar’s role in her husband’s demise has earned her a reputation as being somewhat fickle. But this assessment does not capture the complexity of the goddess’s role. 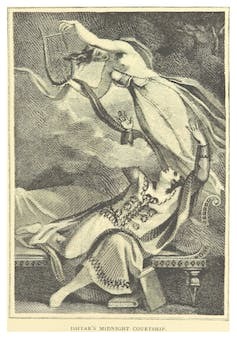 Ishtar is portrayed in the myth of her Descent and elsewhere as capable of intense faithfulness: rather than being fickle, her role in her husband’s death shows her vengeful nature. Women and vengeance proved a popular combination in the myths of ancient Greece and Rome, where powerful women such as Electra, Clytemnestra and Medea brought terrible consequences on those who they perceived as having wronged them. This theme has continued to fascinate audiences to the present day. Before she sees her husband relaxing after her death, Ishtar first encounters her handmaiden Ninshubur, and her two sons. One son is described as the goddess’s manicurist and hairdresser, and the other is a warrior. All three are spared by the goddess due to their faithful service and their overt expressions of grief over Ishtar’s death — they are each described lying in the dust, dressed in rags. 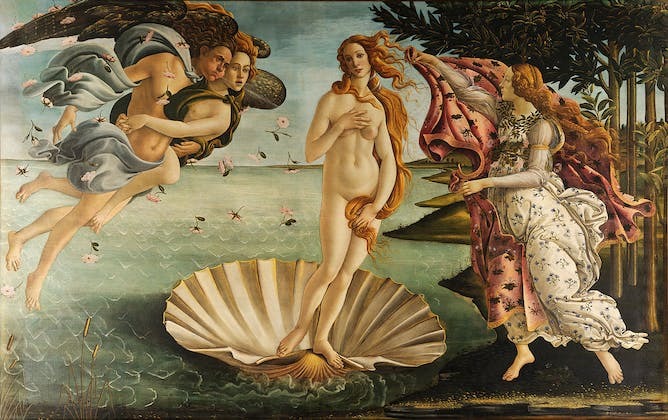 Botticelli’s Birth of Venus, depicting the Roman goddess of love. The diligent behaviour of Ishtar’s attendants is juxtaposed against the actions of Tammuz, a damning contrast that demonstrates his lack of appropriate mourning behaviour. Loyalty is the main criteria Ishtar uses to choose who will replace her in the underworld. This hardly makes her faithless. 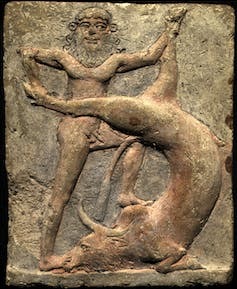 Ishtar’s pursuit of revenge in ancient myths is an extension of her close connection to the dispensation of justice, and the maintenance of universal order. Love and war are both forces with the potential to create chaos and confusion, and the deity associated with them needed to be able to restore order as well as to disrupt it. Still, love in Mesopotamia could survive death. Even for Tammuz, love was salvation and protection: the faithful love of his sister, Geshtinanna, allowed for his eventual return from the underworld. Love, as they say, never dies — but in the rare cases where it might momentarily expire, it’s best to mourn appropriately. Ishtar was one of the most popular deities of the Mesopotamian pantheon, yet in the modern day she has slipped into almost total anonymity. Ishtar’s legacy is most clearly seen through her influence on later cultural archetypes, with her image contributing to the development of the most famous love goddess of them all, Aphrodite. There are intriguing similarities between Ishtar and Wonder Woman. Ishtar turns up in science fiction, notably as a beautiful yet self-destructive stripper in Neil Gaiman’s comic The Sandman: Brief Lives. Gaiman’s exceptional command of Mesopotamian myth suggests the “stripping” of Ishtar may involve a wink to the ancient narrative tradition of her Descent. 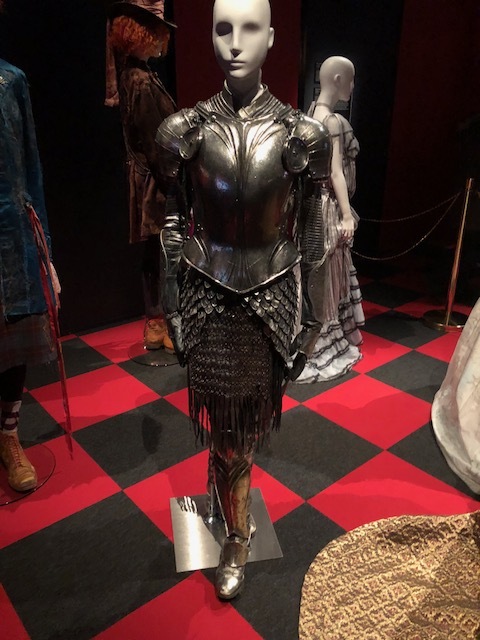 She is not directly referenced in the 1987 film that carries her name (received poorly but now something of a cult classic), although the lead female character Shirra, shows some similarities to the goddess. In the graphic novel tradition, Aphrodite is credited with shaping the image of Wonder Woman, and Aphrodite’s own image was influenced by Ishtar. This connection may partially explain the intriguing similarities between Ishtar and the modern superhero: both figures are represented as warriors who grace the battlefield wearing bracelets and a tiara, brandishing a rope weapon, and demonstrating love, loyalty and a fierce commitment to justice. Ishtar, like other love goddesses, has been linked to in ancient sexual and fertility rituals, although the evidence for this is up for debate, and frequently overshadows the deity’s many other fascinating qualities. Exploring the image of the world’s first goddess provides an insight into Mesopotamian culture, and the enduring power of love through the ages. In the modern day, love is said to conquer all, and in the ancient world, Ishtar did just that. The author’s book, Ishtar, will be published this month by Routledge. 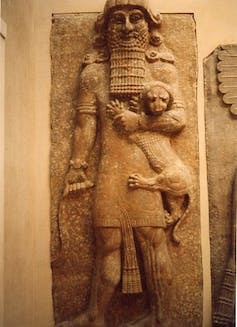 Gilgamesh in his lion-strangling mode. The king-hero Gilgamesh battling the ‘Bull of Heaven’. A statue of Gilgamesh at the University of Sydney. Tablet V of the Epic of Gilgamesh. A cedar forest in Turkey. Note: Translations are sourced from Andrew R. George 2003. 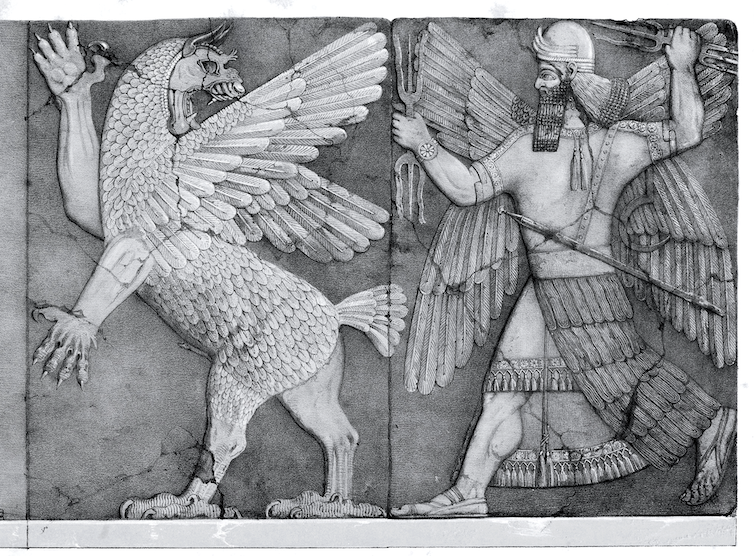 The Babylonian Gilgamesh Epic: Introduction, Critical Edition and Cuneiform Texts, Volume 1. Oxford: Oxford University Press. Note: This is an essay I recently completed for my university unit on the Dead Sea Scrolls. It was a fascinating subject and highly recommend it if you enjoy Ancient History. 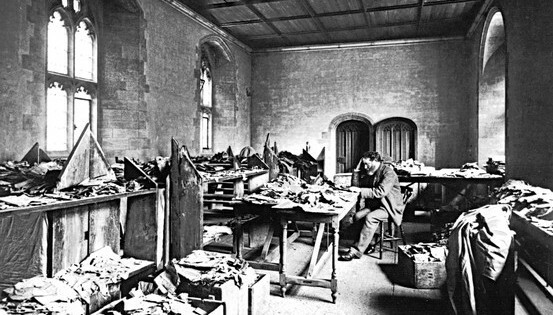 Since Solomon Schechter first discovered The Damascus Document in a genizah in Cairo, scholars and enthusiasts have sought to connect Christianity with Qumran. The later texts found at the Dead Sea in 1947 spoke of a Teacher of Righteousness and a Wicked Priest, apocryphal visions of battles in the Heavenly realms, and detailed a shared Community life with a focus on purity and Law. The Scrolls have fired scholarly imaginations with theories and possibilities, ranging from Lawrence Schiffman’s hypothesis that Qumran had Sadducean roots, to Barbara Thiering’s extreme belief that John the Baptist was the Teacher of Righteousness and Jesus of Nazareth was the Wicked Priest. The purpose of this essay is to explore the similarities of teachings, esoteric practices, and historical similarities between the Qumran sect and Christianity, revealing that even while they share many common elements there isn’t enough evidence to support a definitive relationship between the two. To begin with, the most obvious questions regarding Christianity and Qumran is about Jesus himself as an Essene, a Teacher of Righteousness or a Wicked Priest depending which scholar you read, and whether New Testament documents found at the site. Jesus of Nazareth was a charismatic rebel whose teaching ‘stands out invested with religious individuality and actuality’ but ultimately ‘nowhere in any of the scrolls is Jesus mentioned’ and the Greek fragments found in Cave 7 were not copies of New Testament writings. Despite the similarities in some areas of theology, The Teacher of Righteousness in Qumran, focused on the deep teachings and obligations of the Law and he was without the ‘genius of Jesus the Jew who succeeded in uncovering the essence of religion as an existential relationship between man and man and man and God.’  The Scrolls themselves lack evidence of a direct relationship between Jesus and Qumran, but what they successfully do is provide another insight into Palestinian Judaism at the time of his teachings and reinforces the Jewishness of Jesus by reconstructing the world in which he had his ministry. The next recognizable Christian figure that scholars like to associate with Qumran is the similarity in the seven letters of Paul and writings found in the Dead Sea Scrolls. The core differences between Paul and Qumran once again is in theology especially with Paul’s faith in Christ and his different interpretation of the Torah. Before his conversion to Christianity Paul was a Pharisee and could have come into contact with Qumranian ideals during this time. He travelled extensively so it is also possible that he would have met Essenes on his journeys, much like Jesus of Nazareth did, or when he went to preach in Damascus, Antioch or his home town Tarsus. Despite their strong conflicting views on Law and purity, Qumran and Christian theology do find more common ground in many of their esoteric beliefs, especially in the areas of healing and exorcism, Heavenly visions as well as reverence for the enigmatic character of Melchizedek. Exorcism was widely performed by Jesus and his followers, and fragments of The Apocryphal Psalms found in Cave 11 have sections devoted to songs or psalms with ‘the repeated use of the term ‘demons’ and ‘healing’’ suggesting that exorcisms were also performed at Qumran. 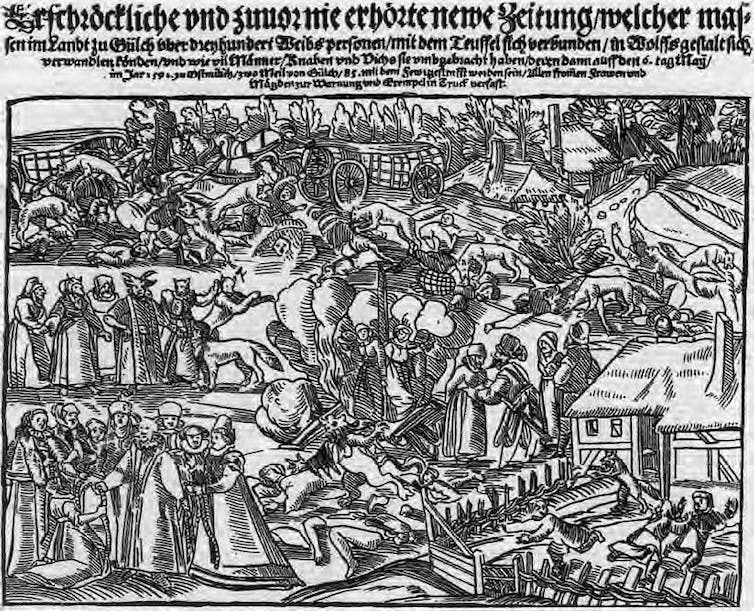 While exorcism wasn’t an unknown practice amongst the Jews there was often a traditional minyan (witnesses) needed, with other ritual elements such as washing required beforehand, where Jesus and his followers performed them sporadically with only commands. The War Scroll found at Qumran details a final devastating but ultimately victorious war between the gentiles and the demonic forces of Belial or Satan, and the Sons of Light with angelic armies commanded by The Prince of Light, the Archangel Michael. According to XVII:5 after the defeat of Belial and his armies God will ‘send eternal succour to the company of His redeemed by the might of the princely Angel of the kingdom of Michael.’ With vivid descriptions on battle formations, priestly duties and thanksgiving ceremonies, the composer makes reference to the Book of Daniel, where Michael is also mentioned extensively as doing battle against the forces of darkness. 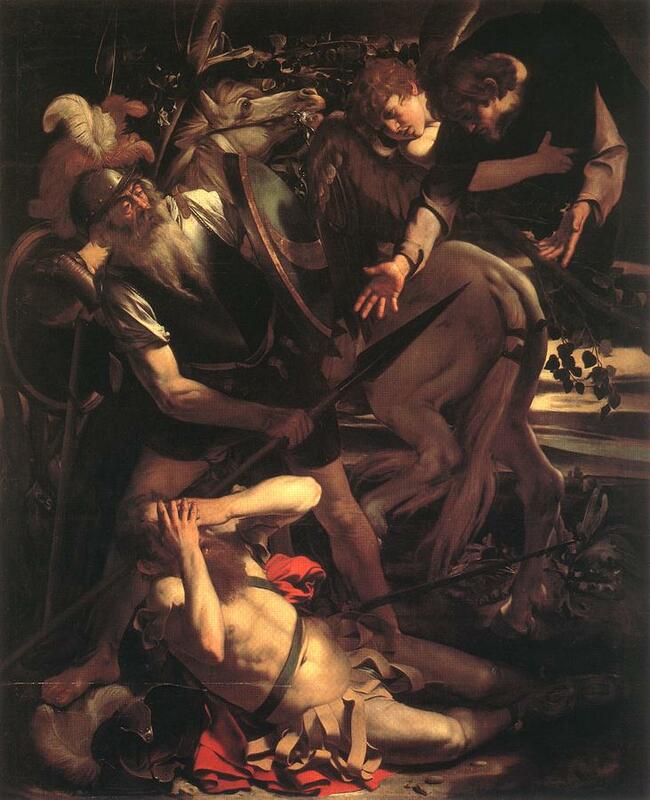 This theme is also found in the New Testament in Revelations 12:7 where Michael and his angels throw the dragon, or Satan, down to earth in a heavenly war. Like The War Scroll, Revelations is heavy with symbolic imagery and also ends with a victory and praises of thanksgiving as the New Jerusalem is established. While these visionary books are obviously influenced by other apocryphal writings such as The Book of Daniel, The Book of Enoch and Isaiah, the core messaging in their end of days’ battle and the fundamentals of their eschatology is different. For the Qumranian’s the one that ‘shoots forth from the stump of Jesse,’ the triumphant Davidic Messiah, is to put his adversary, the king of Kittim to death, while for the Christian’s Jesus, the ‘Root and the Offspring of David’ will come again, establishing a new Heaven and new Earth. 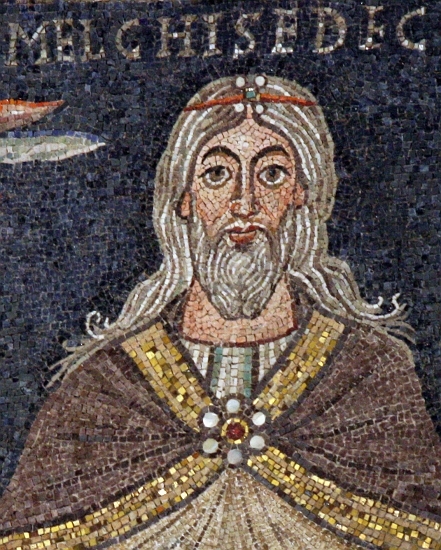 Both Qumran and Christianity could agree that Melchizedek was an immortal figure with a priesthood assigned to him, but the conflict arises not only in Melchizedek being the Archangel Michael but also the author of Hebrew’s views of the priesthood’s ‘superiority over the levitical priesthood’ and their comments on the requirement of bloodlines being ‘set aside because of its weakness and ineffectiveness – for Torah make nothing perfect’ which is a direct violation of the Qumranian view of the Law. The Dead Sea Scrolls has also provided scholars with an abundance of new material regarding scriptural interpretation and given a wider understanding to the practice of pesher. The sect at Qumran believed that scripture had two levels; a literal version for ordinary readers and a second level that only readers of a higher knowledge could interpret the mysteries hidden by God. Christian writers have engaged in a similar interpretive process with Hebrew prophetic writings having been decoded for foretelling’s of Jesus, such as Isaiah 53. The writers of the Scrolls and the New Testament literature both ‘recognized the authority of the five books of the Law of Moses, held prophetic literature in high regard,’ and sought to find greater meanings within them. The main similarity between both practices of prophetic interpretation is what Brooke describes as the process of ‘This is That,’ meaning that one or more of the items within in the text is compared to another. There is a prominent difference between the two forms of interpretation, even if on the surface New Testament interpretations seem like pesher, the process at Qumran was the ‘primary or base scriptural text always precedes the interpretation’ while the Christians focused on proving fulfilment by having the scriptural text recounted after the event in which they are writing. Moving away from the esoteric to religious history, the Near East saw multiple cultural and religious changes through the Persian, Hellenistic, Maccabean and Roman periods and this impacted on the Jewish belief systems of the times. This period saw the birth of Christianity and the evolution of Rabbinical Judaism, but it also meant that ‘many Judaisms did not survive – the Essenes and the Sadducees among them.’ Boccacini claims that Rabbinical Judaism and Christian do not have a ‘parent-child’ relationship but one of fraternal twins birthed at the same time. 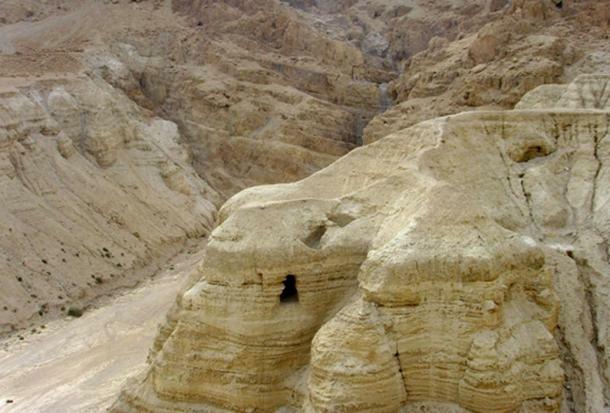 The discovery of the Scolls at Qumran supports the reality that many forms of Judaism existed at the time of Jesus with their own communities, interpretations of Law and eschatological and prophetic visions of the future. The spread of Christianity ‘turned Judaism into a multinational religion’ with the Rabbi’s reinforcing the concept of Judaism as the religion of the Jewish people, so one could argue that the true historical relationship between Qumran and Christianity is one that forced assimilation. The Dead Sea Scrolls are a fascinating insight into the Second Temple Period and are a valuable study in understanding early Christianity and Judaism as well as revealing a pious and vividly literate people that valued their Law and mysteries above religious and social pressures. The Essenes and Christianity are often curiously similar in their beliefs and practices with parallels being drawn between prominent teachings of figures like Jesus and Paul, their views and practices of healing, visions of Heavenly wars and redemption, and their reverence of figures such as Isaiah, Daniel and Melchizedek. They both held the Temple in Jerusalem with undisguised contempt and believed in a Messianic promise. The centre of their belief systems they are so starkly different that a definitive relationship between the two can only seriously be drawn at them both being religious products of the time. Christianity with its inclusive ideals and resurrected Messiah flourished, while the Essenes strict and exclusive community could not survive, as it ‘lacked the pliant strength and elasticity of thought and depth of spiritual vision’ that allowed Rabbinical Judaism to endure as the dominant Jewish religion. Vermès, G. 2011. 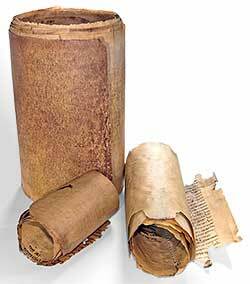 The complete Dead Sea scrolls in English. 4th ed. New York, N.Y., U.S.A.: Allen Lane/Penguin Press. Brooke, G.J 2005. 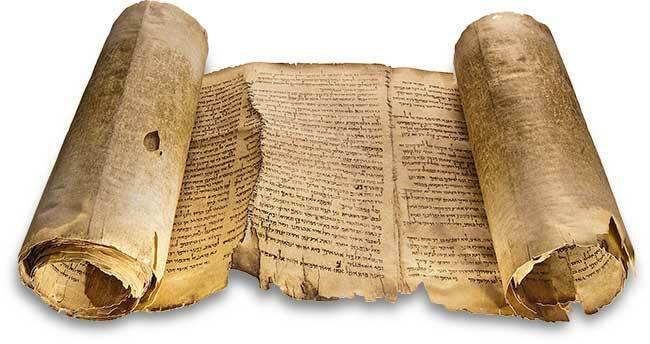 The Dead Sea Scrolls and the New Testament. Fortress Press. Thiering, B 2005. 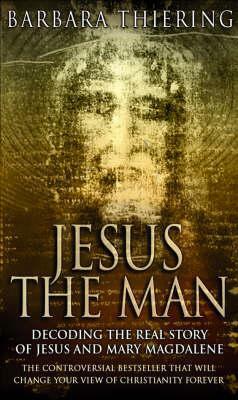 Jesus the Man. Random House. Kuhn, H.W 1992 The Impact of the Qumran Scrolls on the Understanding of Paul. The Magnes Press. Boccaccini, G 1995 Multiple Judaisms, Bible Review (Feb 1995) 38-41. Messianic Jewish Shared Heritage Bible. (2012). 1st ed. Shippensburg, PA: Destiny Image.